You can always install a bomb and detonate it when you notice your car has been stolen. But that's murder... plus, you'll probably kill the thief in the process. That is the idea. Beware, RX-7 thiefs get blown up. I guess another idea would be install some gas that would knock him out and then have GPS to call the cops to arrest him. How about a glock 45? Thats what I use. Thank god I live in a state with concell and carry laws. Are you really just going to dangle the carrot in my face . Sorry. haha. I'll let you know if/when I get it into production. I had one of these on my civic....when it was stolen.....when it was found the autolock was no where to be found, and the pedal was still intact, so there are easy ways around it apparently. The only problem with lowering the rev limit is that my car will actually sit at 500rpm. runs like ***, but it will run. You've tried lowering the rev limit to 500 rpm and trying to start the car? Mine won't start.....needle climbs up to 500, then back down to 0. There was a recent article in Modified magazine about the Blackline GPS snitch, which looked promising. FWIW, i just ordered a NRG quick release adapter with short hub and steering wheel, and im looking into a steering quick lock for the release adaptor and a battery kill switch. 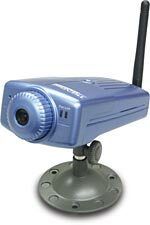 I have a Viper 2way alarm (791VX) and Lo/Jack, as well. even with all this, i still dont think its enough. its not that i live in a bad neighborhood or park in bad areas; i just never want to wake up or walk outside to find that my pride and joy has been boosted. Screw that, I'll just hire the DC snipers to follow me around to watch the car, no other anti-theft device needed! I know this is Random but any 1 can answer.... I had a after market alarm on my car but i deicided to remove it because it was a mess.. ... so i dunno if I took the stock alarm off with it or not! and 2nd Q. is the car supsd to start withOUT stepping on the clutch.. bc mine Does start without doing that ohh and its a RHD by the way dun if it matter but yeah!! The stock alarm is in CPU #2, which contains a bunch of other components so is unlikely to have been removed. If your car starts without pressing the clutch it is likely that the clutch switch was jumped. I would not worry about it. The stock alarm is pretty much pointless too, so I would not worry about that either. Oh - just noticed the RHD thing: I think the clutch interlock thing is purely a USDM inanity so the behaviour is probably stock on your car. I wanted to do the rev limit to 500rpm thing but my datalogit is permanantly installed and you cant edit settings with the commander with it connected.